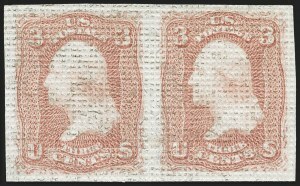 A RARE LARGE MULTIPLE OF THE ALL-OVER "MUSIC BOX" 3-CENT 1861 ISSUE GRILL ESSAY, WITH AN EXTREMELY FINE PLATE BLOCK OF EIGHT. 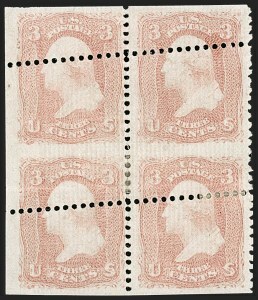 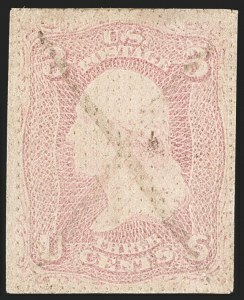 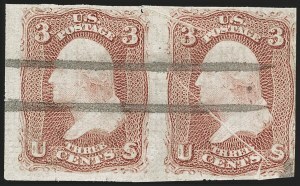 As impressive as this piece appears in its 12-stamp format, condition conscious collectors could easily remove the end pairs at left and right and be left with an Extremely Fine plate block of eight. 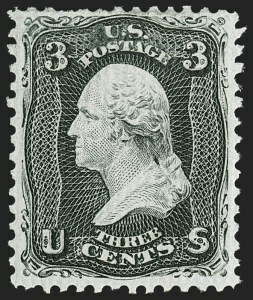 Power Search contains only three other plate blocks of this essay. 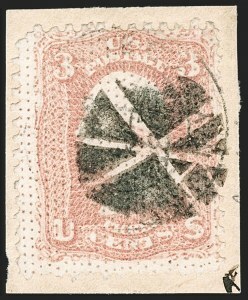 Two of the others are points down and two are points up. 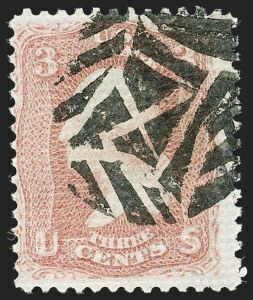 None are as well-centered as the plate block of eight contained here.